KeolisAmey will replace RATP Dev and MPT to become the new operator for the Manchester Metrolink from July this year. The Joint venture will bring the current RATP Dev/MPT 6 year operation to an end. KeolisAmey. who currently operate London's Docklands Light Railway (DLR) will be looking to mirror the punctuality and Customer service successes of the route across the new Manchester Franchise. 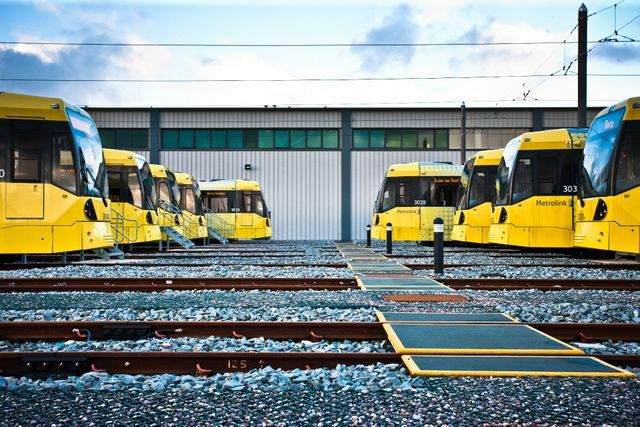 KeolisAmey will become the new operator of Manchester’s Metrolink light rail network when the current contract with RATP Dev and MPT ends in the summer. The JV already operates London’s Docklands Light Railway and will take over Metrolink in July. In the UK, Keolis also operates Nottingham’s tram network, NET. RATP Dev, a subsidiary of the French state-owned RATP Group, has operated the Metrolink since 2011. The new contract is for up to 10 years. It includes commitments to job creation, improving service reliability and to sourcing a minimum of 40 per cent of supplier contracts from within 40 kilometres of Greater Manchester. Alistair Gordon, chief executive of Keolis UK, said in a statement: “Metrolink has made a huge contribution to Greater Manchester’s economic growth and its ongoing success will be a major factor in meeting the city region’s ambitions.